On the Brink: Israel and Palestine on the Eve of the 2014 Gaza Invasion is a compelling collection of blog writing that chronicles a fact-finding and solidarity visit to the West Bank and Israel during the last three weeks of June 2014. 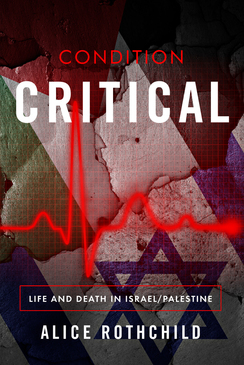 Physician, author, filmmaker, and longtime activist Alice Rothchild turns her powers of careful observation and her deep understanding of the consequences of racism and occupation into a lively, honest, heart breaking, collection of reports from the field. She documents the stories and lives that do not make the evening news, but are essential to understanding the context in which that news occurs. Rothchild focuses her critical eye on the contradictions found within Israeli society, at once aspiring to be “the only democracy in the Middle East,” and the same time deeply flawed by the decades of institutionally privileging the rights, aspirations, and anguish of Jewish over Palestinian citizens. As the increasingly racist right wing governments in Israel create an atmosphere where hatred and distrust of Arabs is encouraged, she visits with Jewish and Palestinian Israeli activists from the Israel Committee Against House Demolitions, Zochrot, Boycott from Within, the Afro-Jerusalem Center and Adalah as well as representatives from the World Health Organization and Physicians for Human Rights Israel. With an eye towards detail and disparities, she documents the worsening realities in the Old City of Jerusalem and East Jerusalem, the disastrous consequences of the separation wall, and the spreading Jewish settlements surrounding the ever increasing borders of Greater Jerusalem. She explores the historical links dating back before the war in 1948, touring the abandoned Palestinian village of Lifta and the destroyed village of Imwas, now invisibly part of the nature reserve of Canada-Ayalon Park. [Rothchild’s] work gives us the information we need to speak truth to power. Eve Spangler, Associate Professor of Sociology, Boston College; Author of "Palestine-Israel 101"
While Rothchild expected the delegation to focus on the longest Palestinian prisoner hunger strike in history and the debate over forced feeding, the kidnap of three settler teenagers from Hebron soon dominated the news. Rather than investigating this crime, the Israel government used this as an excuse to launch a full scale incursion into the West Bank, moving into villages and refugee camps at night, invading people’s homes, arresting hundreds, killing ten, trashing and destroying buildings, and launching a campaign of demonization towards Hamas in Gaza. As this unfolded, it became clear to Rothchild that Netanyahu was determined to crush the Fatah/Hamas unity government and he had found his excuse. Israel launched air raids against Hamas before a single rocket was fired by insurgents. In On the Brink, Rothchild relentlessly documents the injustices, the inspiring resilience, and the intense yearning for the end to occupation and for a more just society both in Israel and the Occupied Territories. Alice Rothchild’s journal On the Brink captures the range of Palestinian and Israeli reactions to the events and reality that generated the recent Gaza invasion. Palestinian resilience, victimhood, steadfastness, anger, and determination to live despite the horrible conditions and dehumanization policies. She also managed to reflect the dominant Israeli public frame of minds which has been hostage to the tension between Jewish values and Zionist ideology as stated in one of her entries. A must read for those who seek to understand the Israeli Palestinian story from within and with an intense and direct call to reflect on the question of how long can people in this land sustain such a process of victimization, oppression, and manipulation of their various identities. There are personal memoirs of people who’ve visited or lived in Israel-Palestine, there are scores of individual narratives about the people of that land, there are academic tracts on the historical, political, legal, sociological, or psychological issues that arise there—and then, there is Alice Rothchild’s account! Coming out of a visit to—in her words—an ‘abnormal place,’ she succeeds in showing us its ‘normalcy’: its diversity, its contradictions, its refugee camps, villages, towns and cities, its famous characters alongside its ordinary heroes, its extraordinary events as day-to-day experience. 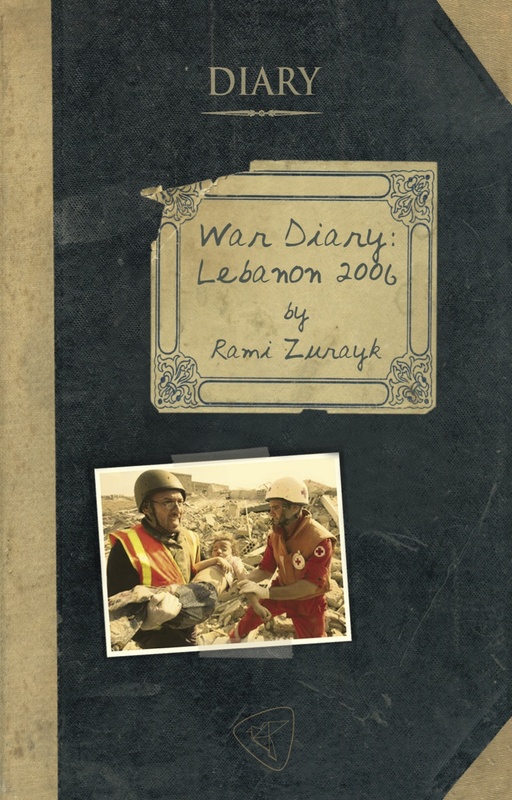 In an inimitable style that draws you in on a gripping voyage while encouraging you to deeply reflect on its meaning, Rothchild offers us a collection of iconic, heartbreaking tales and puts them in the necessary context of historical Zionism, its claim to (so-called) democracy, and its inexorable occupation of Palestine. She never succumbs to the conventional ‘two-sides-to-every-story’ or ‘different narratives’ temptation; instead, she recounts a moving, sensitive, knowledgeable real story. Reading this book, from its early ‘is anyone looking?’ to its final ‘great sadness and fear,’ will be a sobering, painfully gratifying experience. An honest, compassionate and revealing account of the author’s travels through the region on the eve of Israel’s latest attack on Gaza. Trained as a physician, Alice Rothchild knows how to listen to her subjects and locate the heart of their stories, while offering us the reader an accurate diagnosis of all she has witnessed. Alice Rothchild’s new book is a masterpiece of the journal genre. 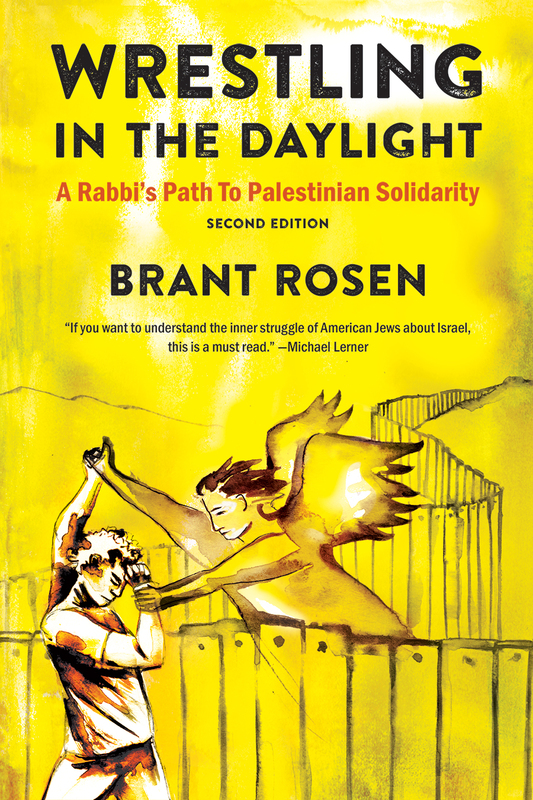 Carefully and beautifully written (the author is a wonderful stylist), it is invaluable as an ethnography blending slices of daily life among Jews and Palestinians with exceptionally keen insights and observations about the ongoing regional tragedy. She sees and listens with the trained, sympathetic eye and ear of a physician and also of a Jew who understands that Israel can end the occupation while Palestinians cannot. Eschewing polemics altogether, she persuades by compassionately attending to the fears, angers, hopes, and wishes of a broad range of people in effect representing the range of parties involved. 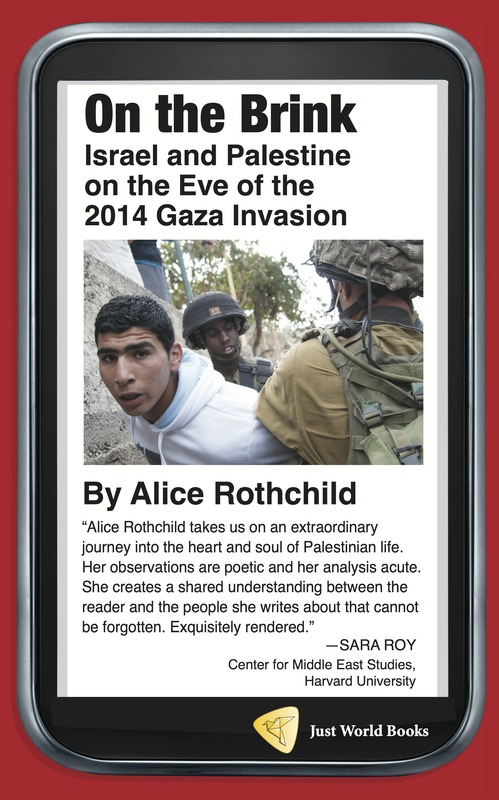 Alice Rothchild, doctor, feminist, author, and film-maker has produced a vivid and nuanced account of the troubled Palestinian-Israeli relationship, placing poignant vignettes (teenage boys on bicycles escorting tourists to their host families in the middle of the night in a refugee camp) in their historic context. Most of all, her work gives us the information we need to speak truth to power. A good read on an important subject. The daily diary format of Alice Rothchild’s On the Brink is particularly apt, allowing the urgency of the unfolding critical historical moment to come through clearly. Stories of the ongoing occupation weave together naturally with the events leading up to the invasion of Gaza as Rothchild experiences them, offering an indelible portrait of the reality of life in Palestine and Israel in the terrible summer of 2014. In one of those tricks of fate that are surely necessary to produce great narrative, Alice Rothchild’s trip to the occupied West Bank in 2014 to observe health care conditions corresponded with the violent events that were a runup to the Gaza onslaught of that summer. Rather than getting away, Rothchild threw herself into a tour of the “mind-shattering” Palestinian experience. In the most patient and neutral manner, she relates the views of mothers, fathers, children, activists, journalists, and other health professionals in encounters in the midst of terrifying violence, culminating with her stay in a Palestinian village being raided by the Israeli army during which she comes to respect the Palestinian resistance. The great surprise and satisfaction of her journey is that it forces her to turn her calm gaze within, to reckon with the cultural conditioning that allowed her American Jewish cohort back home to blind themselves to Palestinian persecution, even while insisting that we must never forget Jewish suffering in Europe.